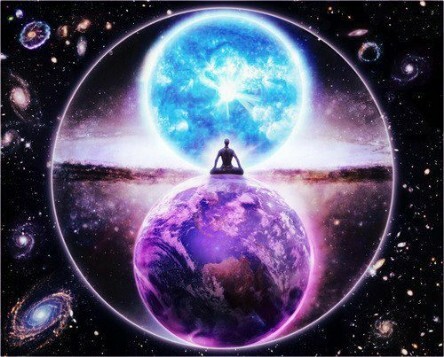 The ascension of our reality into 5D relies on the transformation of individual and collective consciousness. Since the hour of your planet’s liberation and ascension is well underway, we would like to give a shout-out, as you say, to our ground crew. This channel came to our attention nearly a decade ago in your time. What drew us to her was a combination of her passion for truth, as well as a wide array of knowledge she had gathered, including topics like science, spirituality, metaphysics, and a deep understanding of society, culture, and human psychology. She has also plied us with so many questions over the years, which has helped greatly to illuminate the gaps in your knowledge and experience. The way we work with our channel is a collaboration, bringing together her knowledge and our own. Our hope is that we can make more clear and more tangible various topics that seem very esoteric to many. Spirituality and consciousness are scientific in nature, but as a lot of it involves subjective experience, it can be difficult to observe, predict and measure via standard scientific means. But it is possible to look at the entirety of objective, rational truth as well as the subjective experiences of many individual consciousnesses on your world. We are, in essence, trying to marry spirituality and science into one coherent and cohesive whole so you can understand the big picture better. Science and spirituality are not incompatible. Spirituality is scientific, but it is science you don’t yet fully understand. Your scientific establishment relies on the scientific method in order to ascertain what is true. But this method is limited by several factors, including the need to be able to construct predictable and repeatable experiments on any phenomena, natural or supernatural, that exist. If a phenomenon cannot be controlled, it is impossible to conduct experiments on it. Theoretical physics is different, however, as most of the hypotheses come from the construction of mathematical equations that make predictions about the nature of your reality. However, these explorations are all limited to what can be perceived by your five primary senses. This leads to a lot of confusion about all of the possible realities and expressions of creation and existence that can be experienced. What is happening to your reality is unprecedented in human history. The fact that relatively few of your fellow human beings know what is happening is surprising to us. We now understand much better what the various sorts of resistance to new reality thinking are. Because you are limited by your 3D/4D (three spatial dimensions and one dimension of time) consciousnesses and perception, it is difficult for many to imagine what a shift to higher consciousness might entail. Your new reality is just over the rainbow. The simplest way for us to describe it would be to use a metaphor from your popular culture. 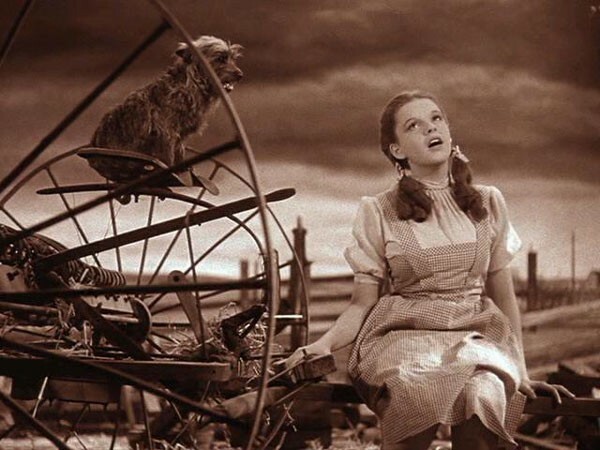 You reality at this time is the equivalent of black & white Kansas in your classic film, The Wizard of Oz. The cyclone in that film is the chaos erupting throughout your world. Eventually our intervention efforts will feel like the whole of humanity has been transported to another realm, indeed Oz in full-blown color. And yes, the wicked witches (the dark forces) will be put out of business in the process. We are, we would like to say, not the Wizard (though there are many beings on your world wearing masks), but the good witches of the North and the South. Our job is to guide humanity towards a wonderful new beginning. The Emerald City is on the horizon and it won’t take much longer to get there. Many of you are on the yellow brick road already. The Emerald City could be described as your 5D destination, a state of being so transcendent it will feel like a whole new world. None of you will be trying to use the ruby slippers to get back to Kansas. 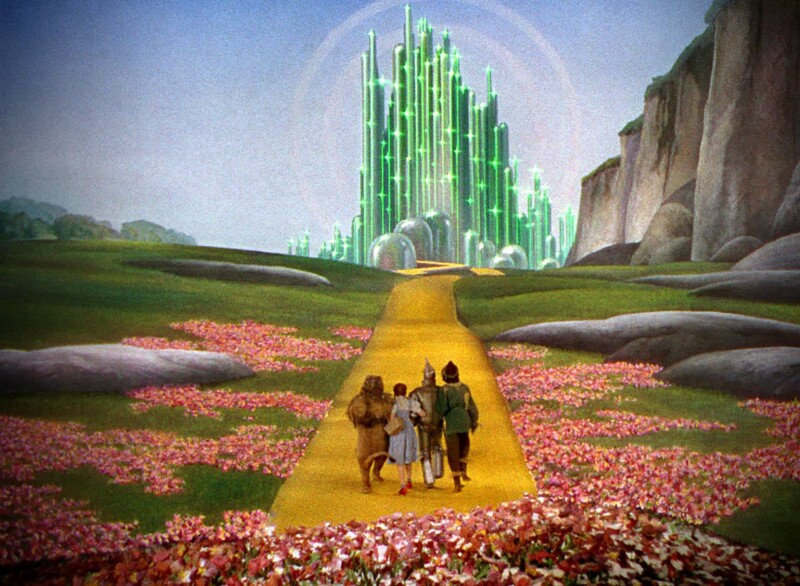 Like Oz, the ascended planet Earth will feel like a magical, miraculous place. You have all been in a desert of unfathomable proportions. Many of you are dying of thirst and starvation. But there is an oasis on the horizon, and no, it is not a mirage. This new reality construct is indescribable in your languages and inexplicable given the limitations of your current 3D/4D perception. Imagine, though, what is referred to as the Flatlander example: a 2-D being can’t perceive a third dimension, which all of you take for granted. Anything that occurs in 3-D would seem like magic to beings who only perceive two dimensions. There are other things you might have difficulty wrapping your heads around, like alternate perceptions of what you might call time. What we would like to assure you is that ascension into a new collective reality will be more glorious than any of you can imagine. You will all, for instance, experience positive changes to your bodies. Your reality will be flooded with divine love, which will make everyone feel amazing. Your galactic neighbors will also be involved in lifting you up even further, and you will see a technological, spiritual, societal and cultural transformation of your civilization like nothing you have ever contemplated or imagined. This transition has been in progress now for several decades of your time and is now finally coming to fruition. In forthcoming transmissions we will reveal more details about what this shift looks like from your point of view. In the meantime, continue to educate yourselves and consider using the Oz metaphor as a way to explain what is happening to others. We need everyone to be as prepared as possible and each of you can do a lot to assist us. The great galactic back story. As always, we love you and shower our blessings and abundance upon you. In love and light, the Alcyone Pleiadian High Council, member of The Galactic Federation of Light. Channeled by Artemis Pax, Ground Crew & Planetary Liberation Front. A citizen-led effort to disclose the extraterrestrial and/or extradimensional presence engaging with our planet.